Reception uplighting for weddings and events has become the most important and impactful enhancement in our industry, and it’s obvious why. 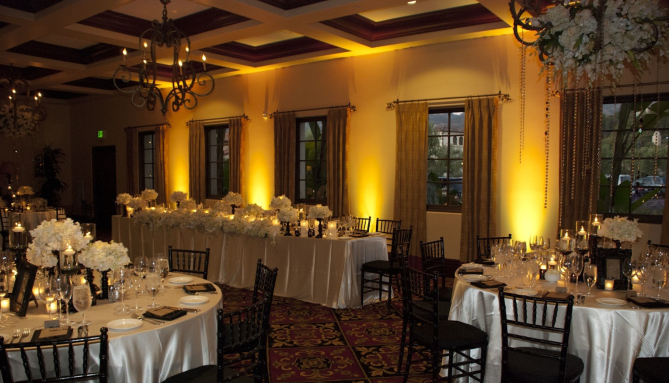 When done correctly, reception uplighting is the most stimulating element that can create energy and set a tone for an evening like no other decor item can. And it can be done at an investment that is far less than centerpieces or floral arrangements, with less hassle. 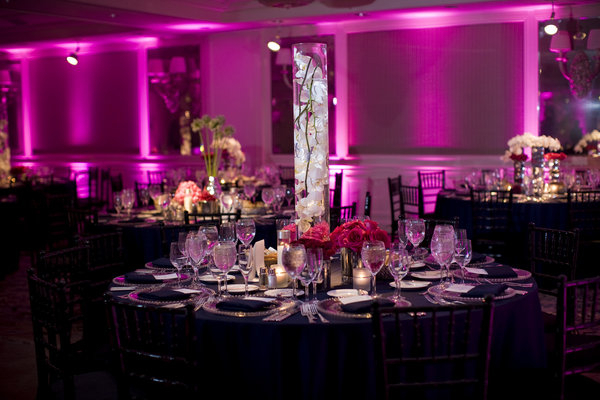 When your guests walk into a room that is lit beyond the basic venue lighting with vivid color all around, they will know they are in for an incredible evening. That increased expectation translates into energy. And don’t take our word for it, as you may know science research has proven the relationship between room color and mood. We make reception uplighting for weddings and events easy. We’ll provide professional grade, battery operated, remote controlled uplighting units that can create almost any color imaginable. These units are small, powerful and wont get in the way. With no wires for power or control, we can place them anywhere inside the venue, with no mess and less tripping hazards. And most importantly, they are cool to the touch, using LED technology, so they are safe for everyone. And we’ll personally be setting them up and controlling them during your event. The units are usually placed around the perimeter of a venue, in an amount and in locations that will be best suited for its beauty without being overbearing on the venue or event. They can also be used to highlight certain architectural features or even under a table. Smaller rooms, or rooms with lower ceilings can benefit from uplighting, as the effect makes a room feel larger. 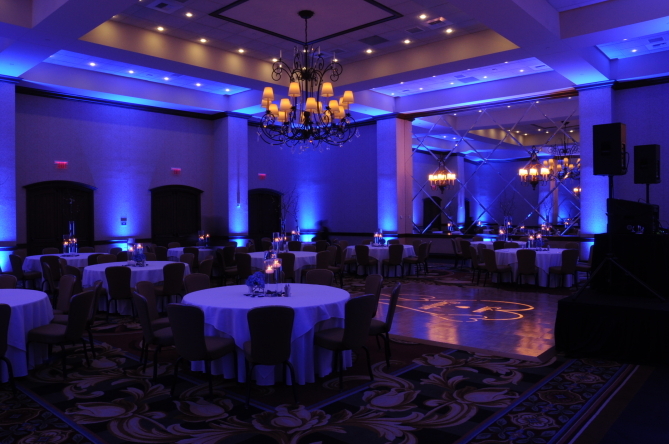 When it comes to picking the right color and reception uplighting for weddings and events, naturally clients will consider using the color theme for their wedding or event. This often works well, just keep in mind the color tones on the venue walls and how they might mix with the uplighting. And don’t worry, We’ll be using our best efforts and insight to provide the best solution, and can adjust all lights instantly by remote control for the best results. Most of the time clients will choose one color for the entire evening. However a good idea is to choose multiple colors to take effect at certain moments during the event. Visualize cocktail hour color changing into a dinner color, changing again for dancing. Imagine how that would impact your guests experience and excitement. Our reception uplighting for weddings and events in the Boston and New England area comes as an add-on to our DJ Services or as a stand alone service. Contact us today to learn more.